Until the discovery of the microscope, it was assumed that all snowflakes were identical. It is awe-inspiring to think that each of the innumerable flakes that fall each winter are different. The human body is similar to a snowflake. At first glance we all seem to look the same: two arms and legs, two eyes, a mouth and a nose. However, you do not have to look too closely, and you certainly don’t need a microscope, to realise that we are all different. And thank goodness for that! The important thing to note is that we are all as different on the inside as we are on the outside. Your lungs, heart, liver and kidneys, in fact, all of your organs, are slightly different than anyone else’s. This results in myriad physiological differences in our bodies, including body chemistry. Our body chemistry is made up of thousands of chemicals necessary for life and health, and it is specific in quality and quantity for each of us. Just one variable, for example, blood type, may be normal for one person, yet fatal for another if they receive a transfusion of incompatible blood. 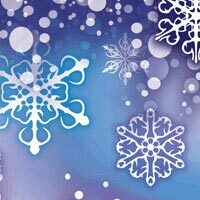 Like the snowflake, it is often not until we examine the most minute aspects that we see important differences. Wouldn’t it be easy if we were all identical. Everyone’s nutritional requirements would be the same. We would all do the same type and amount of exercise for maximum benefit. Drugs would affect everyone the same, with the same effects and side-effects. There would be no rejection of organ transplants. However, we are all different. In chiropractic we recognise that difference. We understand that the human body is different for each individual, and to try to determine what each individual’s needs are, or what is normal for each individual, is just a guess based on averages. Fortunately, in each one of us there is a built-in mechanism designed to regulate our bodily functions. In chiropractic we call this inborn ability the innate intelligence of the body. Unfortunately, it does not always express itself perfectly. That is because innate intelligence uses the nervous system to control and co-ordinate all the functions of the body. When a vertebral subluxation is present in the spine, it interferes with nervous system communication and the body simply cannot work as it is supposed to. This is where the chiropractor comes in. He or she does not try and determine what is normal for your body, but merely helps your body to correct the vertebral subluxation (with an adjustment) which again allows the innate intelligence of the body to use the nervous system to normalise function. This is why you should have your spine checked regularly for vertebral subluxations by a chiropractor to ensure your nervous system is functioning free of interference.